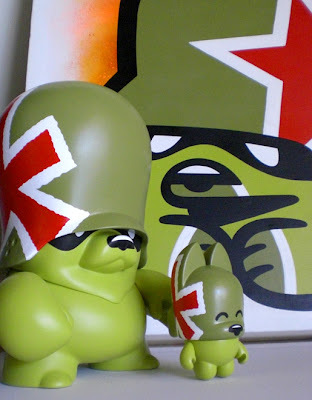 Together with TheLondonPolice and Pez we will have the "FRE3 CITI3S - FR3E ARTISTS" exhibition tour starting at the Vicious Gallery in Hamburg on June 28th. See flyer for details. Later this year we will also be in Barcelona, New York and Los Angeles. Stay tuned! Another customized Trooper for the army. See more great work from Denseart on his website! Had to go back there again for better photos. Another one with my old friend CARIO. Have been out in the sun for a few hours yesterday emptying my spray cans on the wall. 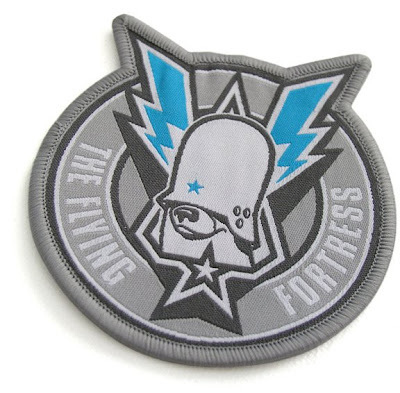 The new Flying Fortress skateboard decks series has arrived and is available at Hessenmob Skateboards and Rockawaybear.com. The "Le 24 ore di Le Mans" design will also be released in the upcoming Rockawaybear t-shirt collection this summer. To celebrate the 3rd anniversary of Frank's GreenHill Skateshop i have made this t-shirt design for him. 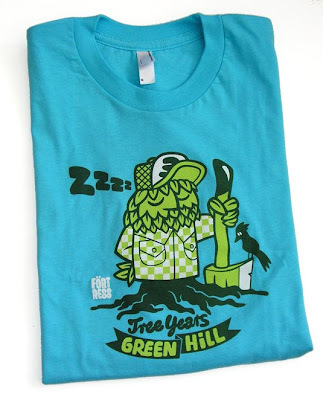 There is also a great design from my friends Stefan Marx and Dave The Chimp on the Greenhill Website. 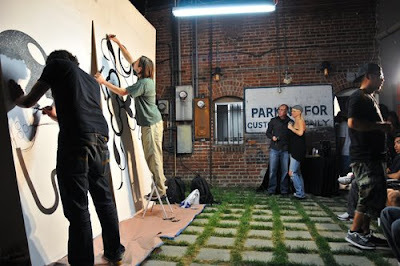 Here are some pictures from the live drawing entertainment at the Black Maria Gallery opening night in Los Angeles. Fitting the Thunderdog design... La Familia.